Summer is just around the corner and it is time to Spring into Fitness! My name is Haven Schulz, owner of Health Haven Studio here in Laguna Beach, California. I am a personal trainer and fitness nutrition specialist. With beautiful Spring days just ahead of us, I wanted to give you a fun variety of ways to workout and get fit in our Laguna Beach Community! Not only is fitness about physical movement, the mental side of exercise is just as important. I encourage my clients to get UP and OUT. Get away from the traffic, noise, and crowds to clear their minds with some outdoor cardio. One of the best ways to get this type of work in is to hit the trails of Laguna Beach. A few Laguna Beach favorites include Top of the World, Laguna Coast Wilderness Park and Aliso and Woods Canyons Wilderness Park. Get out in nature, relax your mind, and move! Have you ever walked through Heisler Park? Heisler Park is one of my favorite places to walk in the late afternoon and not just because of the views. As you walk through the park, you will notice there are many staircases going down to the beach….you know where I’m going with this!!! Next time you take a walk in the park, add every set of stairs in your walk for a great cardio AND strength workout. If you’d like to step it up even more, you can walk between and RUN the stairs. Yes, there are many different water activities you can participate in here off the beaches of Laguna such as stand up paddle boarding, kayaking, swimming, surfing, scuba diving, etc. I have found paddle boarding to be one of the best fits for a variety of ages and fitness levels. When you paddle board, you are working on both strength and balance. As a trainer, I notice that balance is an element many people are missing from their workout regimes. So hop on a board, strengthen your core, and enjoy the view (with out having to wear a wet suit)! …AND DON’T FORGET TO STRETCH WHEN YOU ARE DONE! Last, but not least…..you can always come workout with me at my personal training studio, just steps away from Agate Street Beach. 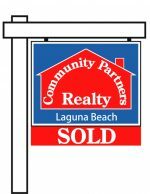 Many of my clients, here in Laguna Beach, like to walk to the studio from their houses to enjoy their personalized training experience. I offer one-on-one training, buddy training, and small group training. Whether it be to build muscle, gain strength, lose fat, increase endurance, or improve mobility, I will create a program that is perfectly personalized just for you and your goals. I offer free consultations as well as NEW CLIENT discounts. 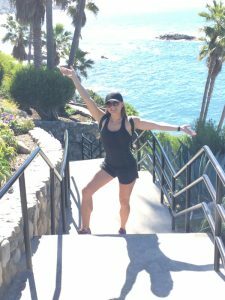 All-in-all, Laguna Beach is an amazing place to get up and get moving! It doesn’t matter if you are on water or land, you will have a great time getting fit in the Laguna Beach Community!